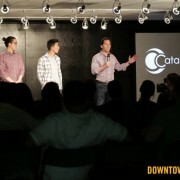 A few weeks ago I gave a speech during Catalyst Week. My agency Silverback Social was co-curating the week’s events. 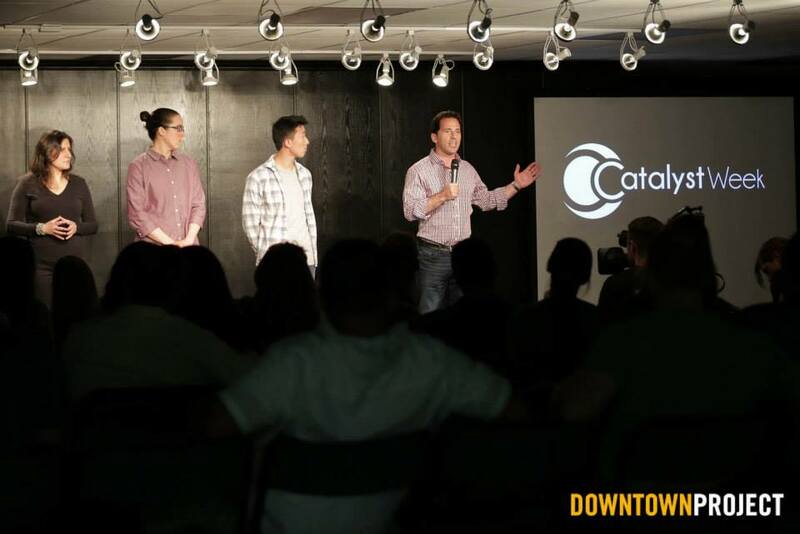 I wrote a post here on Linkedin entitled “What’s the ROI of Tony Hsieh’s Downtown Project & Catalyst Week?” sharing my thoughts about the amazing team at Catalyst Creativ, and the whole energy surrounding Catalyst Week. I was impressed with everything about the whole week. Today I’d like to share that speech with you here. If you don’t have time to view the video below (13:28 minutes), here is a loose outline of what I covered. This three step process has helped me in my life, I hope it helps you too. Step 1. Admit to yourself that you’re a loser. You will never be a winner and a chooser, until you admit to yourself that you’re a loser. I was unceremoniously fired in 2009 from my job at Buddy Media. When it happened I was so stunned I couldn’t speak. I was “pushed” off the cliff but I refused to let myself fall. Reaching as far as I could, I set a new goal: I’d never let anyone else have control over my income or my future. I felt like a loser. I bet you’ve lost at some point in your life. I want you to think about the times you’ve lost. I want you to take yourself there, and I want you to get angry. Harness your anger. Throughout my entire career I’ve been told that I should never get angry. I’ve been advised that it’s a negative emotion that shouldn’t enter the workplace. However, when I look back at my biggest wins, my most impressive accomplishments have all started with the same common denominator. We all have fear. Some is innate, activating our fight or flight instincts. Some fear, however, is learned. That fear is insidious. It seeps into our unconscious paralyzing us to the point where we choose “safety” over pursuit of our passions. I believe that “learned fear” is the disease of our time. Battle it by taking baby steps. My first step was silent contemplation, and meditation. Another was obsessive note taking. The last step was challenging myself to dream as big as I possibly could, imagining that money was no object, and stepping toward that challenge. I had nothing to lose. Neither do you. Don’t ask for permission to take your life to new heights. You have the power. It’s up to you and whatever you can conceive. The Technology is free. I wanted to work in social media so I purchased the URLFacebookshouldhireme.com I wanted to launch the Westchester Digital Summit so I bought the URL, Westchesterdigitalsummit.com – I surrounded myself with the right people and made it happen. I was supposed to run the NYC ING Marathon, but Hurricane Sandy had other ideas. I was hoping to run through the streets of New York with other New York City Marathoners, and cheering fans. Instead I was running in circles on a track by myself. I had raised money for ALS research because my Father is living with the disease, and I felt obligated to fulfill my end of the deal with the friends and family who had written checks. I decided to run the marathon anyway. By the time I completed the marathon my family, along with random bystanders were on their feet cheering me on. There may have been 25 people there, but to me it felt like a stadium full of supporters. Gather up your defeats, and wear them with honor. They have forged your character. Let yourself get angry about some things, or some circumstance, and focus that energy on creation. Stop asking for permission, and run anyway.